Protect Your Investment. 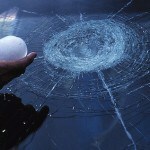 Don’t Let Hail Damage Go Undetected! 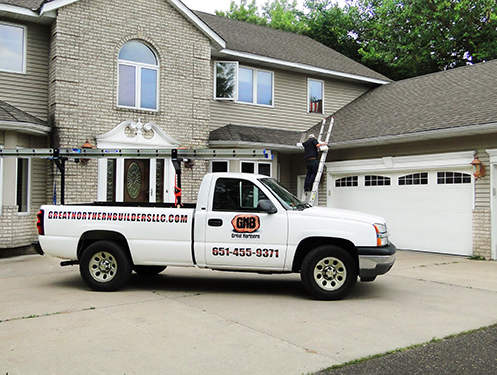 Great Northern Builders (GNB) specializes in hail damage repairs throughout Minnesota and Wisconsin. Often, hail damage cannot be seen from the ground, so it’s important to have your property inspected by a certified team of experts. If hail damage goes undetected, this can not only lead to future leaks and water damage, it can also shorten the warranty and service life of your roof. It’s important to contact a restoration professional after a hail storm for a free roof and property inspection. It’s imperative to have your property inspected after any type of storm including thunder and wind storms to ensure no hail damage has occurred to avoid future leaks, premature aging, and deterioration of your property. Hail damage can cause bruising, cracking, denting, and granule loss to your commercial or residential property, including roofing, siding, gutters, windows, patios. 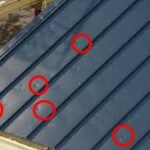 If undetected, hail damage may void the manufacture warranty as well as shorten the service life of your roof. 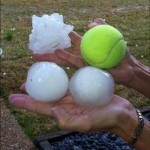 Often, hail damage is not visible from the ground. We see it on our automobiles but we rarely get up on our roofs. If you’ve experienced hail damage throughout Minnesota and Wisconsin, a Great Northern Builders Project Manager will conduct a free inspection and take photos of all damage, prepare proper scope of damages, estimate at fair market pricing. We help you the repairs you need in a timely fashion.